I was in Home Depot this morning and he started calling my name. Laura, Laura come rescue me. 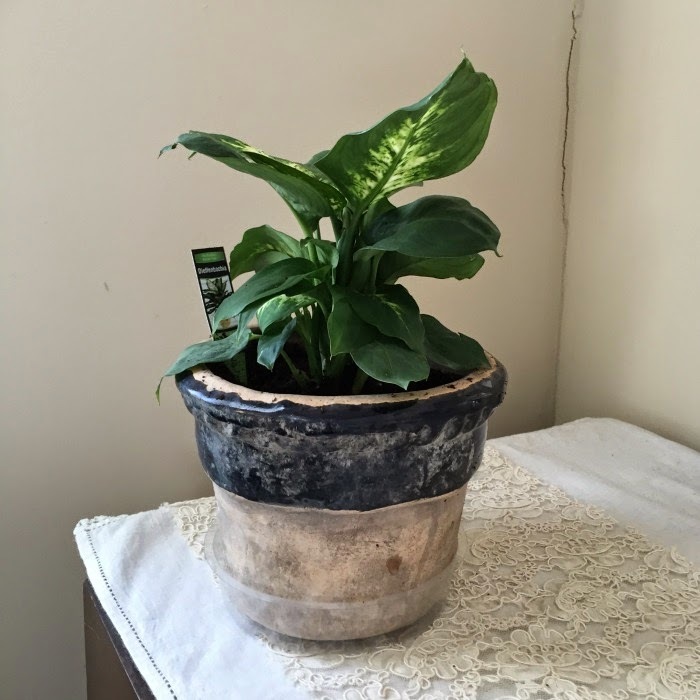 How could I turn him down when he was only $2.97 and I need a new plant for this pot. Also, as we are having March weather, I was really wanting to get my hands in some dirt. I really went to Home Depot to get some succulent soil. 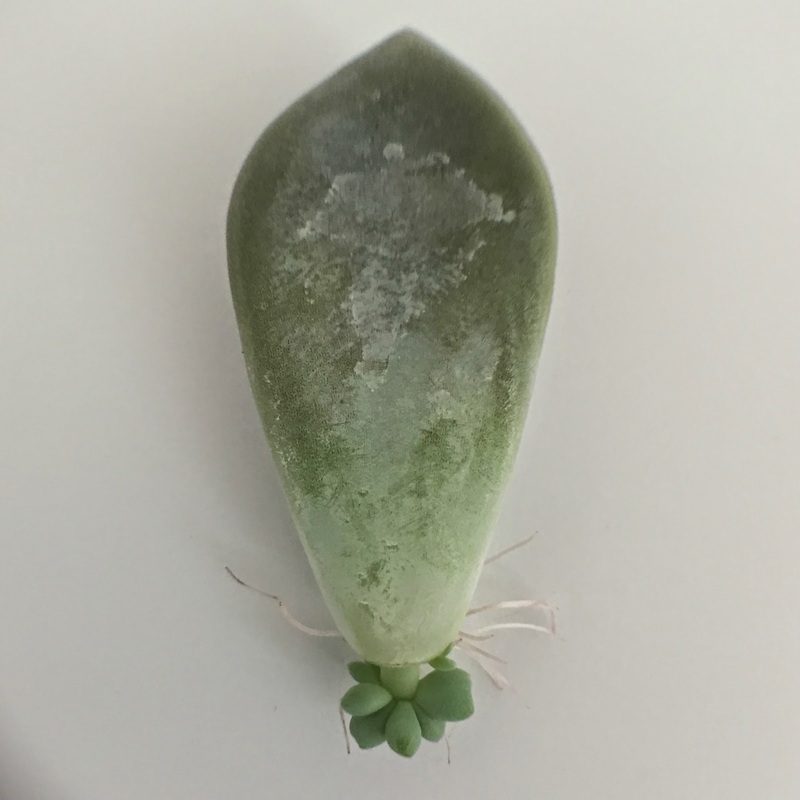 I am trying my hand at propagating some succulents. 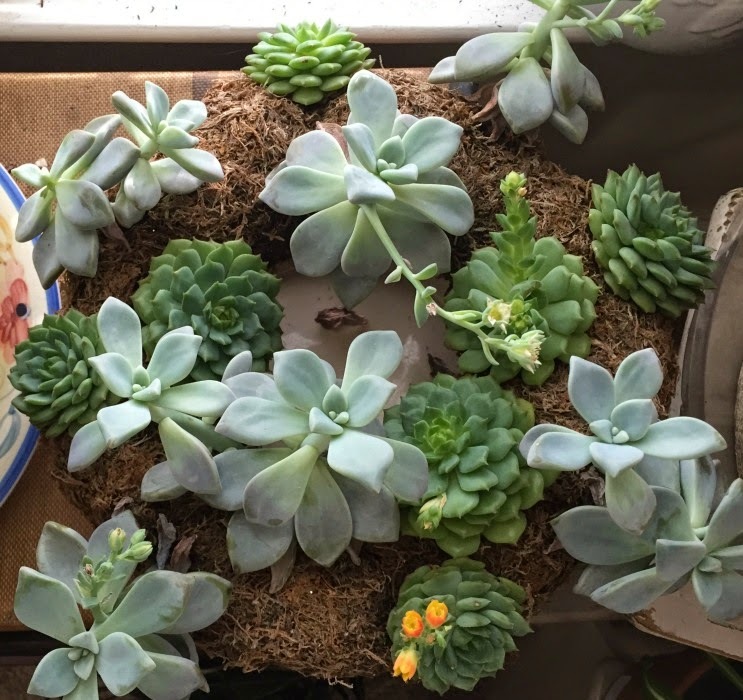 I received a wonderful succulent wreath for Christmas from my daughter's in-laws. It is snuggled next to my lemon tree and has really been growing and blooming since I brought it home. Seems to love both the sunny window and the grow light. When I moved it for watering, I accidentally knocked off three leaves. OOPS!! So let's see, new plant, baby succulents, new camera lenses, and March like weather. Now where did I put those flip flops? Hello Laura.Happy for your baby succulents! How cute! Aren't they adorable. I was just flying by the seat of my pants on that one. I am definitely not a winter person anymore, but I did used to love it. I will be remembering these couple of springlike days when it turns cold again next week. I am really impressed with your new lens. It's really good! I use an iPhone 4 for all of my blogging what are you using? My contract is almost finished and I have to decide if I want a new phone. love this succulant wreath! Do you have an idea where I could buy one for my daughter. So nice! Did not think of using a light on one. I will now. Thank you for sharing. What fun! A succulent wreath is such a clever idea! have a wonderful Wednesday, Laura. I've never tried real succulents before. I love how they look though. I've heard they are easy to take care of too. We are having mild pretty weather too, but it's all about to change again. I think today is our last day for nice weather. Rain and colder weather is heading our way. I need to enjoy today while I can. You make me ready for Spring!! Too cold here for that kind of clothing! I'll have to try this once I get some succulents.